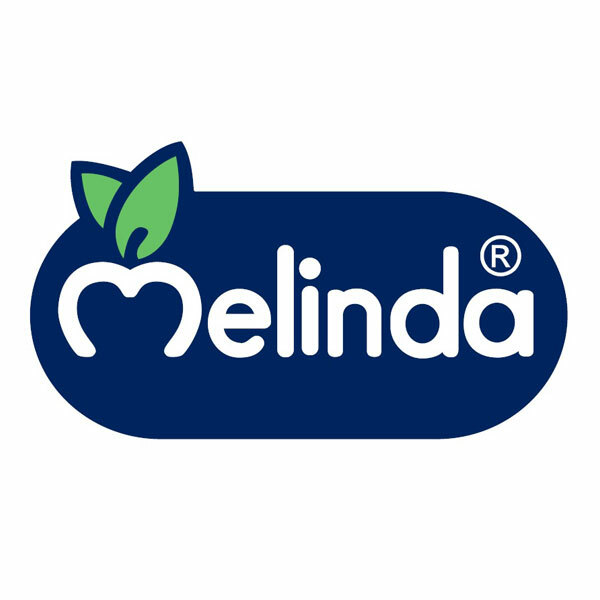 Melinda is a Consortium and a trademark created in 1989 by over 4,000 fruit producers, gathered in 16 cooperatives, in order to market with a single brand all the apples coming from a unique territory such as Val di Non, in Trentino. 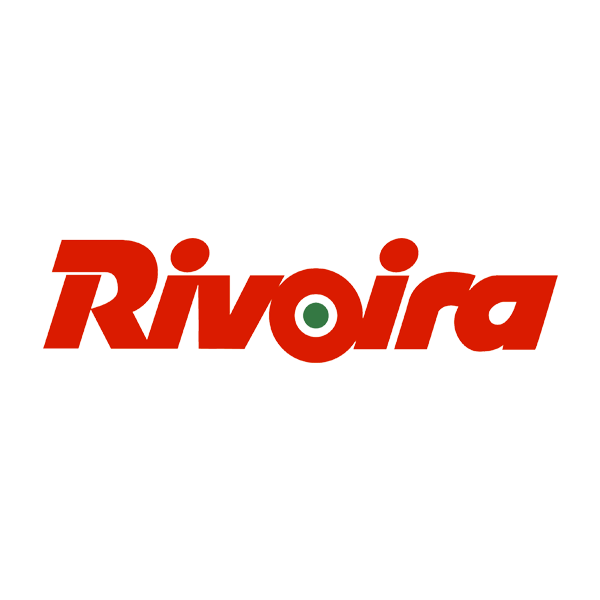 Today Melinda has become the reference brand in the Italian fruit and vegetables industry, with a very high level of penetration in the market (one third of the apples consumed in Italy is Melinda). 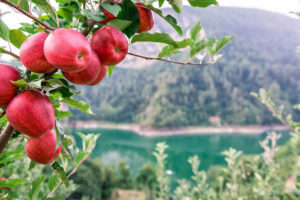 Thanks to an incomparable combination of the altitude in which the crops are located, the temperature range between day and night and the pure water that flows from the Trentino glaciers, Melinda is able to obtain apples of superior quality and taste, that allowed it to be a leader and the favorite apple in the Italian market and to be successful also in foreign countries. 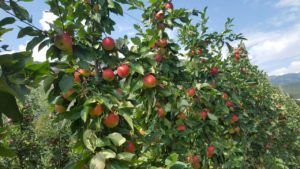 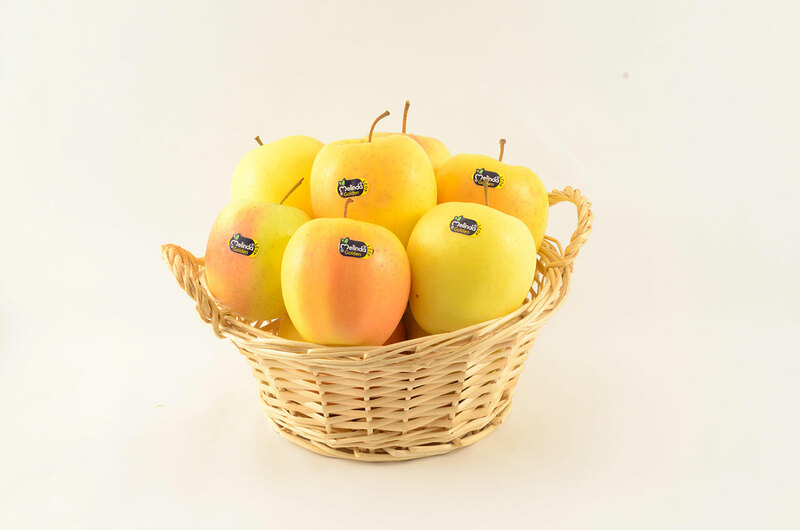 About 70% of the apples currently produced and distributed are Golden Delicious, 7% Renetta from Canada, 8% Red Delicious, 5% Fuji, 5% Gala and 3% Evelina, grown with integrated and biological cultivation methods. Also new club varieties are being developed, some of which are resistant to scab. 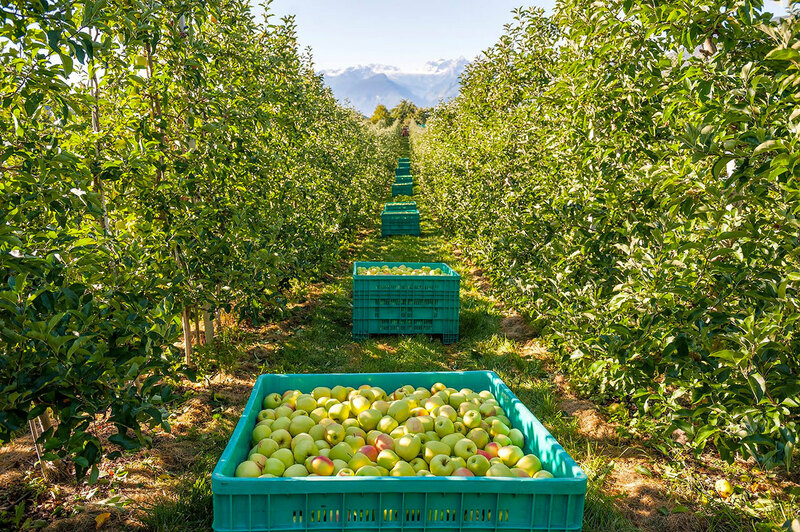 The link with the production territory is very strong. 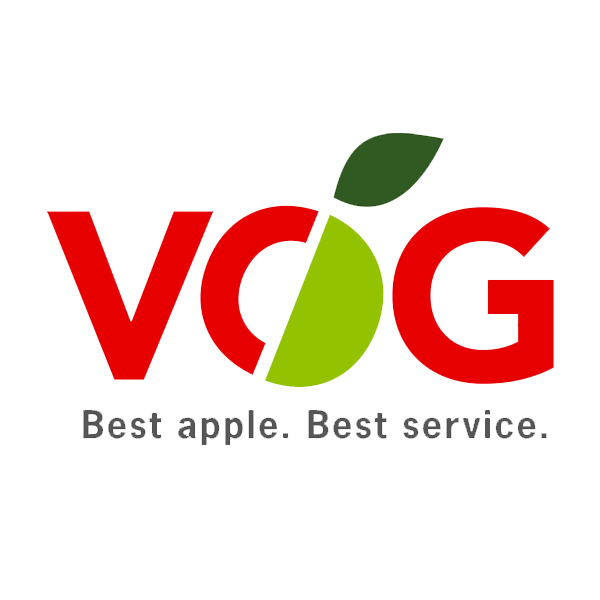 For this reason the apples of Val di Non Golden Delicious, Red Delicious and Renetta Canada were the first in Italy to receive the D.O.P. / P.D.O. 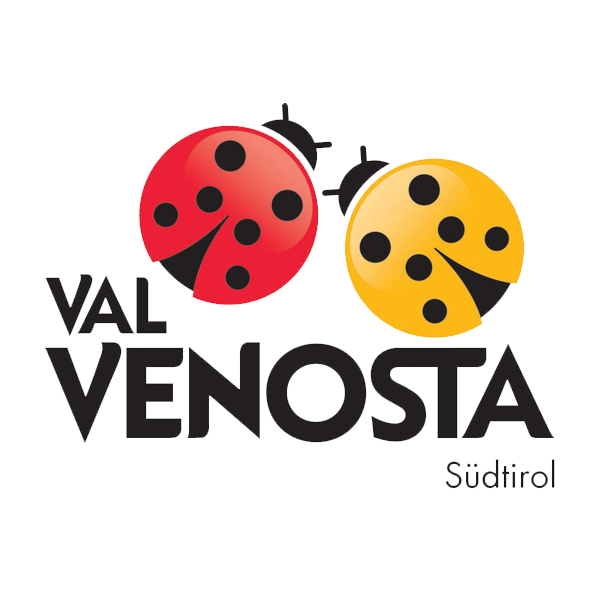 (Protected Designation of Origin). 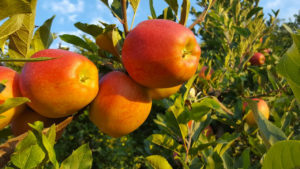 This means that the apples Golden Delicious, Red Delicious and Renetta Canada Melinda are unique and typical, produced exclusively in Val di Non, chosen by nature as an ideal place for growing apples thanks to the passion of the 4,000 Melinda families, in respect of the long tradition of Trentino fruit and the environment. 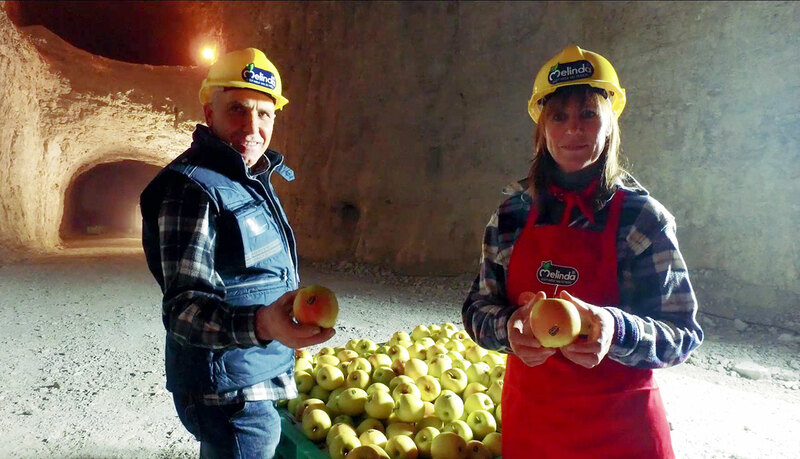 Melinda lives in symbiosis with the territory: it is for this reason the only one in the world that preserves its apples in a sustainable way in caves carved into the rock that act as natural refrigerators: the “Celle Ipogee”. 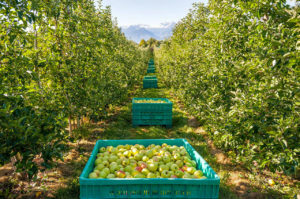 Thanks to this innovative method it is possible to save energy and reduce CO2 emissions, limit the consumption of water, for greater protection of the territory.